Supplied complete with a remote temperature sensor mounted on a 1m cable, the HI-147-00 features two powerful magnets to allow it to be positioned on the front of a fridge or chiller cabinet. The sensor has a 1m lead so can be positioned inside a cabinet or fridge, or it can be used as a between pack sensor. The sensor tip is made from food-grade stainless steel. 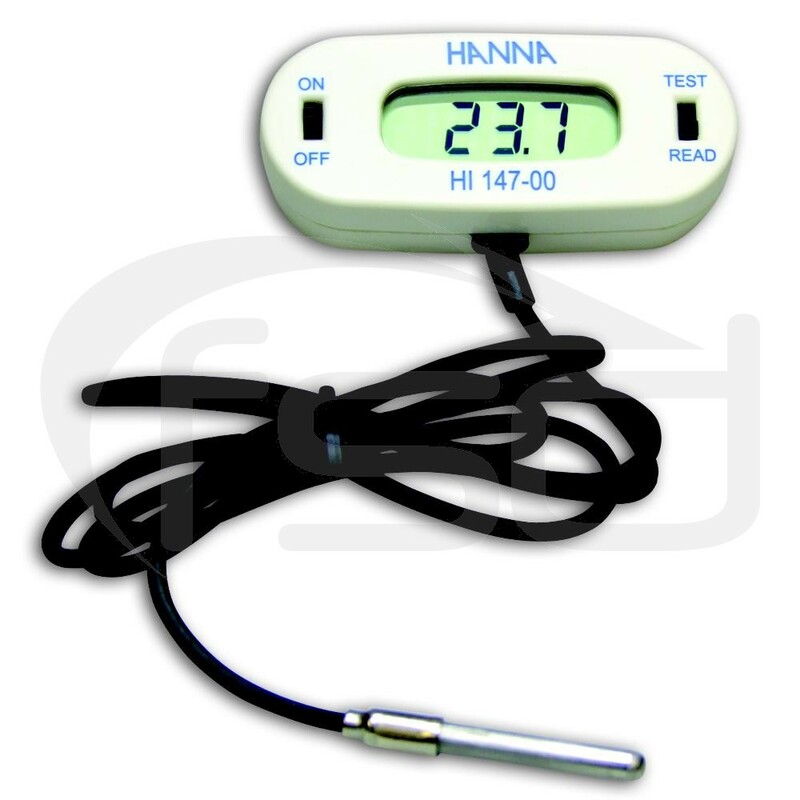 This thermometer has a high degree of accuracy (+/- 0.3°C between -20 and 90°C) and includes a calibration check system.